The so called Ports of the Future Network is composed by three RIA projects and one CSA with the purpose to cluster retained proposals projects, reports, scientific papers (among others), identify appropriate Key Performance Indicators all of which with the ultimate goal of defining the concept(s) of Ports of the Future. The pursuance of a collaborative and integrated approach between the projects in relation to both their technical outputs and communication/dissemination strategy aims at capitalising on the synergies between the projects with a view to be as impactful as possible. PIXEL’s sister projects are briefly described below. 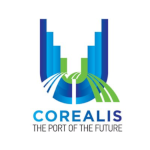 COREALIS proposes a strategic, innovative framework, supported by disruptive technologies, including Internet of Things (IoT), data analytics, next generation traffic management and emerging 5G networks, for cargo ports to handle upcoming and future capacity, traffic, efficiency and environmental challenges. The proposed beyond state of the art innovations, target to increase efficiency and optimize land use, while being financially viable, respecting circular economy principles and being of service to the urban environment. The innovations will be implemented and tested in real operating conditions in 5 Living Labs, namely Piraeus port, Valencia port, Antwerp port, Livorno port and Haminakotka port. The Port of the Future will be able to enhance sustainable development and to manage the resources to be invested and their employment for a competitive advantage. Therefore, the port of the future must be oriented to port community and have an operative strategic capability to work, in line with European purposes. All in all, sustainable development is the present and future for ports that want to lead the industry supported by three cornerstones: Operational Excellence, Insightful Collaboration with partners through the supply chain, and top notch Safety, Health and Environmental practices. 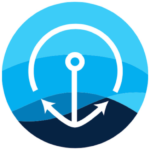 PortForward proposes a holistic approach that will lead to a smarter, greener and more sustainable port ecosystem. 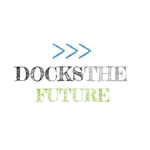 DocksTheFuture, beneficiary by the European Commission of a contribution of about 1,2 million Euro, will define the Port of the Future, meant as a near future (2030) which should face challenges related to simplification and digitalization of processes, dredging, emission reduction, energy transition, electrification, smart grids, port-city interface and the use of renewable energy management. The proposal will address a preliminary research on the Port of Future concept, the definition of several Port of the Future topics to be addressed and their related targets in 2030 and a preliminary list of projects that could be potentially clustered together with the RIA (“Research and Innovation Actions”) retained proposals.